Days 3 and 4 were super packed in the Weibel Lab! Katie organzied many interesting sessions, so read below for an inside look! Wednesday began with a literature review meeting. 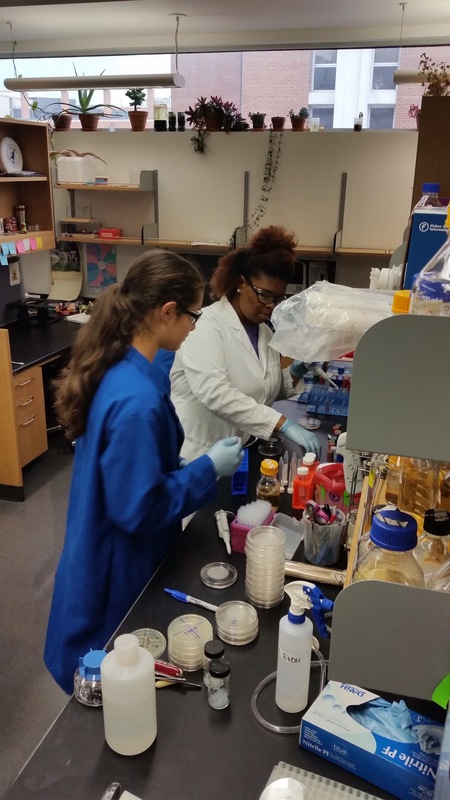 In the Weibel lab, scientists are selected to present a research paper that has either provided foundation for research that is currently being conducted in the lab or a groundbreaking paper. You can read this week’s paper here! After our meeting, we began an introduction to microfluidics with Matt. Microfluidics is the control of small volumes of fluid to be applied in a practical manner. DNA chips, inkjet printheads, and other micro-chip technological devices are developed using microfluidics! 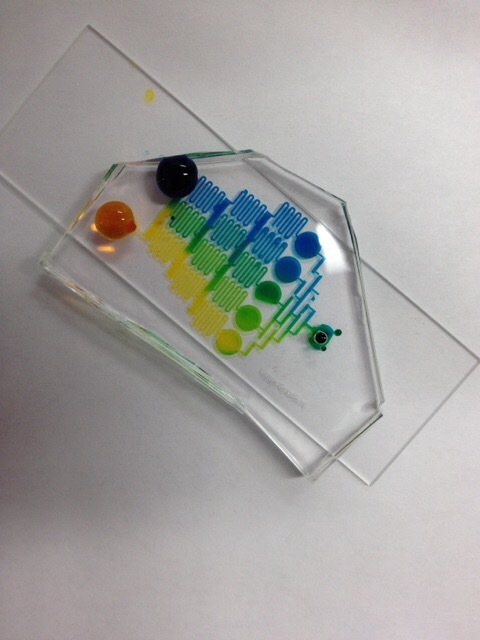 Imaged below is a photo of a device we tested out with food coloring! After we wrapped up microfluidics with Matt and had lunch, we met up with Linda. 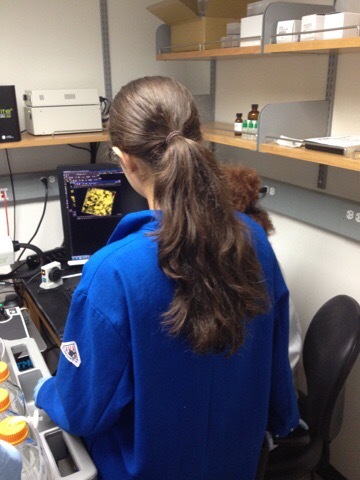 During our time with Linda, we selected individual bacterial colonies to culture overnight! 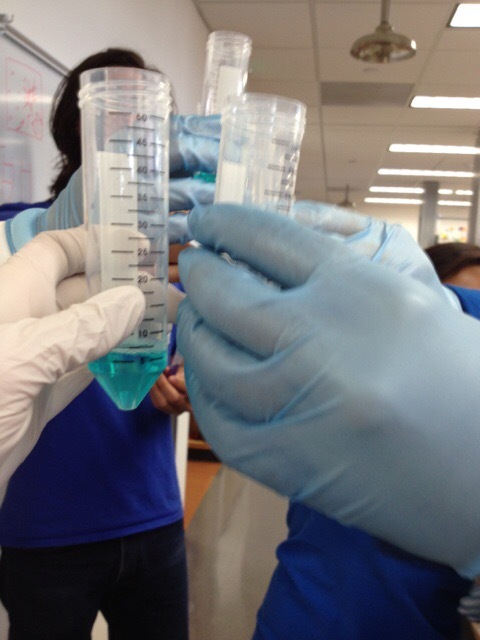 We also prepared samples using our own saliva to determine the efficacy of standard mouthwash! After a long day of science we stopped at Babcock Dairy, a famous dairy shop in Wisconsin! 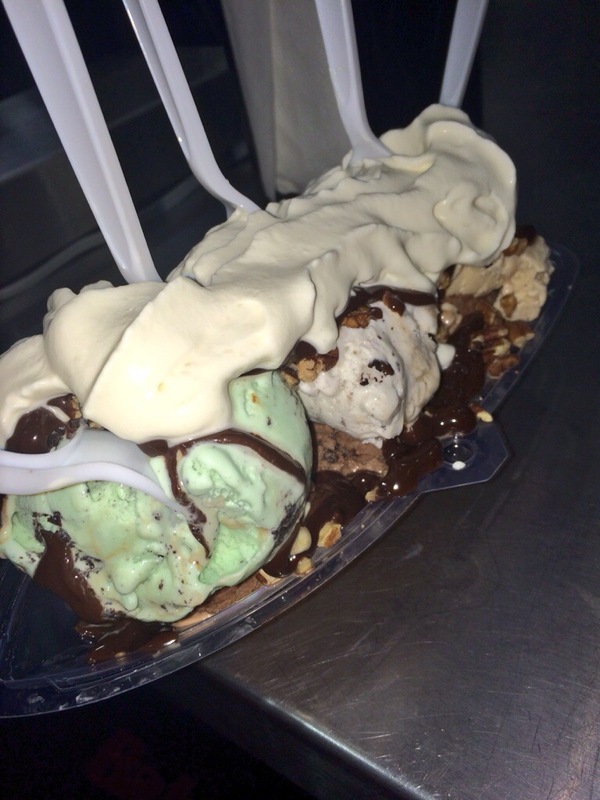 Jamese, Linda, Zoe, Katie, and I shared a brownie boat; a Babcock Dairy Special! Day 4 began with a group lab meeting! Katie H. presented her research regarding the destruction of the bacterial membrane. After the group discussion, we met with Bradley, who helped us with biofilms earlier in the week. We used confocal microscopy to visualize E. Coli and pseudomonas. 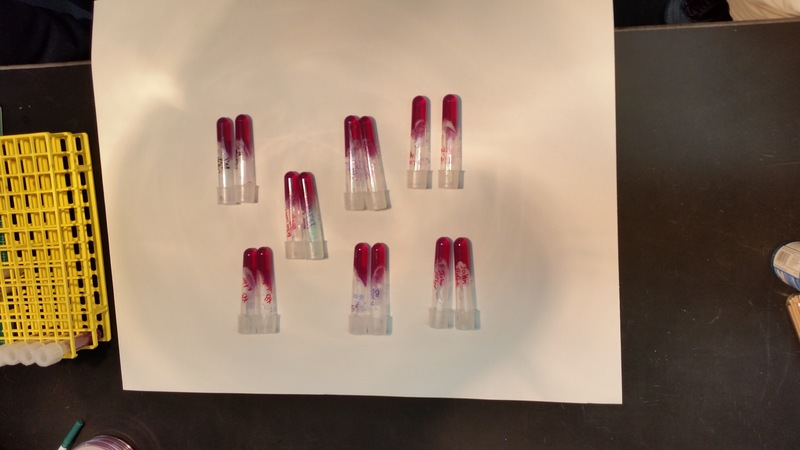 We also quantified the cell flourescence! After our flourescent quantification,we toured the NMR-FAM. 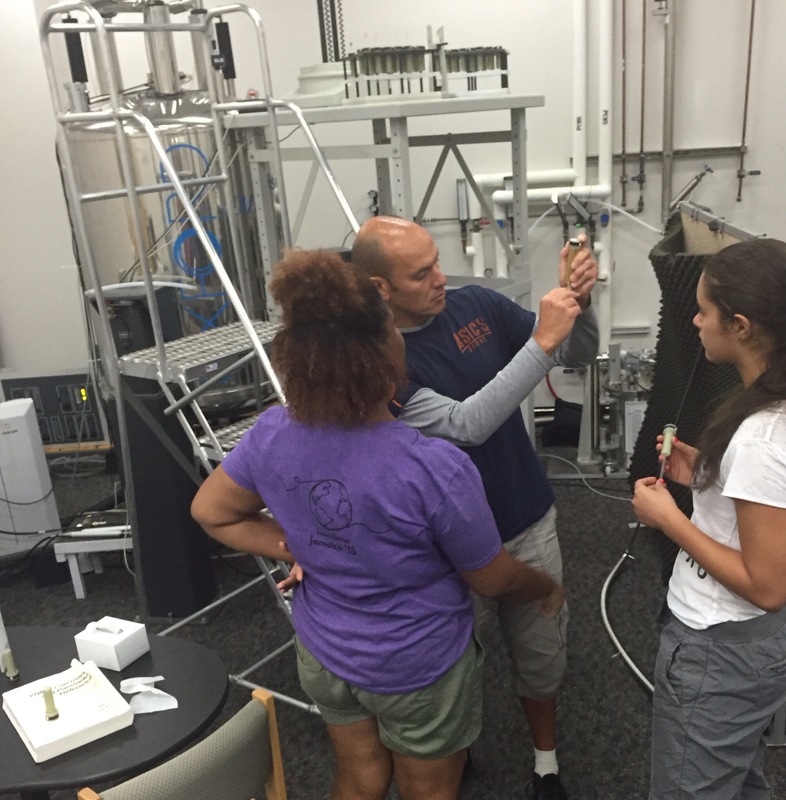 The National Magnetic Resonance Facility at Madison uses biomolecular NMR spectroscopy to advance research in structural biology, small molecules, high-throughput methods, and protein production. Jamese and I are identifying different compounds using magnetic resonance in the image below. 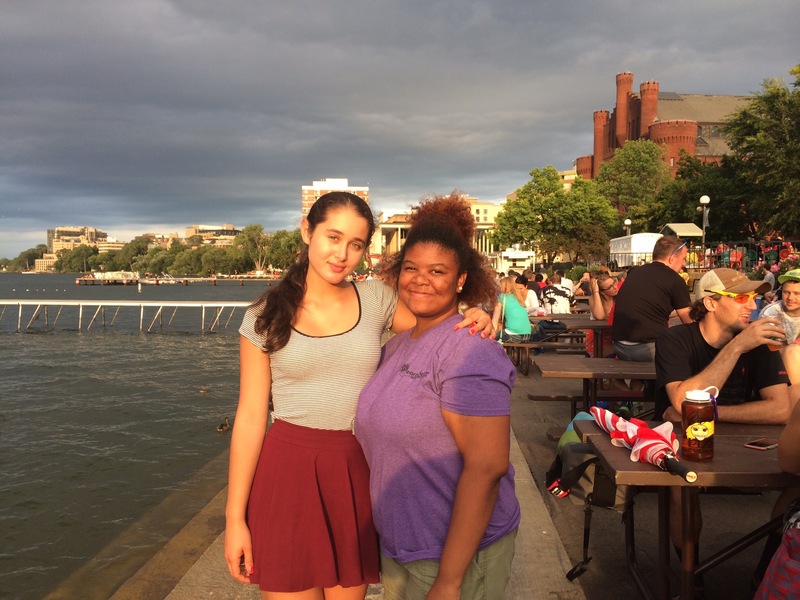 Day 4 culminated with a trip to the Wisconsin Union Terrace where we enjoyed food, music, and a beautiful view. Thank you L’Oreal for supporting girls in STEM! I am having an incredible time here in Madison. STAY TUNED FOR DAY 5!!! L’Oreal Science Workshop in Wisconsin! This is so amazing autumn not only are you’re having an intellectual experience your also having a fun!